Before you can drain a swimming pool there will be things that you need to know. Not all swimming pools are the same when it comes time to drain them. You have many different types of swimming pools. The most common types of swimming pools are Above Ground Swimming Pools with 48″ and 52″ Steel or Aluminum Walls, In ground Vinyl Liner Pools, In Ground Gunite Pools, Commercial Cement Swimming Pools and off course Portable and plastic Kiddie swimming pools like the ones you fill up and empty daily. Now that you know what types of swimming pools there are we can tell you what types of tools and pumps are required to drain these pools. 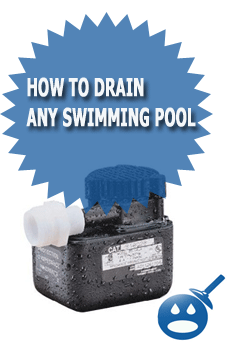 The first thing you will want to find out is if the pool you are trying to drain has a bottom or “main drain”. You will find a main drain in most in ground residential swimming pools, commercial swimming pools and sometimes in above ground pools. If the swimming pool has a main drain you can use that to pump down the pool. If the pool you are trying to empty does not have a main drain, you can use a submersible pump, pool pump, or trash pump to drain the swimming pool. If the swimming pool you are trying to empty is an above ground pool you could use a hose and create a siphon to drain down the pool. The siphon method will only work with above ground pools. You can also a winter swimming pool cover pump to drain down the pool as well. 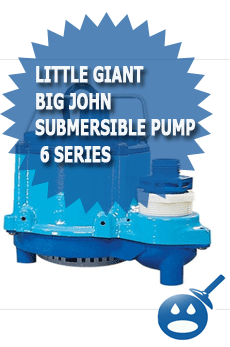 In many cases the winter cover pump will be a good-sized submersible pump to drain the pool. The only draw back to using the winter cover pump rather then a larger pump like the trash pump is that emptying the pool might take a bit longer. The Trash pump is one of the fastest methods to drain a swimming pool. You can rent a trash pump from most rental stores for around $89.00 for the day. The trash pump works with usually 3″ inch or above suction and discharge hoses which allows the pump to empty many gallons of water at a time from the swimming pool. 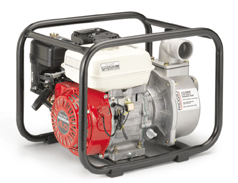 In Some Other Cases there may be an external vacuum pump that is used to clean the swimming pool. If there is a swimming pool vacuum pump, you could connect the vacuum pole and vacuum head and then use a discharge hose and pump the pool down with this pump as well. 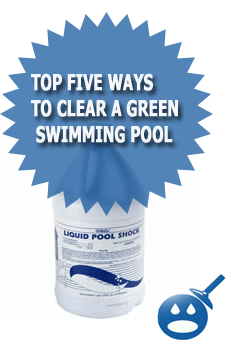 Just think of it as doing a swimming pool power vacuum without reading the pool water. Draining an in ground swimming pool might sound like an easy thing buy in fact there are a few things you should know before doing so. In ground swimming pools have vinyl liners are constructed using something called “pool walls”. These swimming pool walls can be made up of a few different things depending on the pools age. Pool walls can be made from wood, steel and cement. Wood wall swimming pools are no longer made in the United States. These types of walls had a major flaw in them, which caused many swimming pools to collapse when drained. The next type of material a swimming pool wall can be made from is steel. The steel wall in ground pool is a popular choice by many when buying or installing a pool. The third type of material a swimming pool wall can be made from is cement. Cement wall in ground swimming pools are very popular and are known to hold up for many years. Some say that the cement wall pool is the best way to build an in ground vinyl swimming pool. To properly drain a vinyl liner pool you should make sure that you will be replacing the liner or just doing a repair for a few hours. Leaving the in ground pool with out water could cause it to collapse. The Vinyl pool liner will also, dry, crack and shrink if exposed to the heat or sun for too long. Another type of in ground swimming pool is the Gunite swimming pool, which is made from cement. Unlike the vinyl liner pool Gunite pools can be drained a whole lot easier. These types of pools almost always have bottom or main drains. Gunite Pools are made from cement with forms and when they are empty they are made to not collapse. In fact many commercial outdoor swimming pools will drain their pools for the winter or off-season. The proper way to drain a Gunite pool is to use the on board filter system with the bottom drain. If for some reason you cannot use the pools filter system and main drain you can use a commercial sized trash pump or submersible pump. Most Above Ground Swimming pools are made from steel or Aluminum walls that are “rolled out” during the installation. If the above ground swimming pool is left empty for to long of a time the wind can cause major damage to the pool. When the above ground swimming pool is full of water it is much stronger. When the above ground pool is full of water the wind will not be able to damage the pool. Another thing to keep in mind when draining your above ground swimming pool is that the vinyl pool liner can be damaged if its left in the heat or sun to long. If you are draining the above ground pool to change the liner then you will not have to worry about this. But if you are draining your above ground swimming pool because you need to make a repair of some sort you should make sure to keep the pool liner moist and out pf the sun. The liner can also shrink if left in the hot heat and sun. The most common mistake with someone trying to drain an above ground swimming pool is that they leave the pump in the pool and leave the pool for a few days empty. At this point the above ground vinyl swimming pool liner will start to shrink. If the pool liner is a few years old, not only will it shrink but it can also crack when it dries out. When the above ground pool liner shrinks because it has been out in the sun to long, most people just assume that it will just stretch back in when the water fills the pool. This will not be the case however and in fact you could damage not only the liner but also the above ground swimming pool wall. If the above ground swimming pool liner is newer or a heaver gauge it sometimes will not rip after shrinking when the swimming pool is filling. Instead the vinyl pool liner that is now to small will start to pull in the pool wall as the pool fills. If the pool liner has shrunk and it’s a heavy gauge its best just to replace the liner at this point to prevent further damage to the pool. The Best way to drain above ground swimming pools is with a siphon or using a small to medium sized pump. You can also use your swimming pool vacuum pump or a regular garden hose to drain the above ground swimming pool. To drain the pool with a pump you will want to place the pump as far towards the center of the pool as possible. If you are draining an oval above ground pool you will want to place the pump in the deepest part of the pool. Some oval above ground pools have a deep end called a “hopper” which will be on one end of the pool. If the oval above ground pool you are trying to drain has a deep end or a hopper you will want to place the pump there as that will be the lowest point of the pool. Once you have positioned the pump in either the lowest point of the pool or the deepest you will now want to roll out your discharge hose and plug the pump in. Depending on how many gallons per hour your pump discharges will determine on how long it will take to drain your swimming pool. If you want to drain the above ground pool using the siphon method you will need either a garden hose or your swimming pool vacuum hose. You will have to create the siphon with the hose and this can be easily don in the following way. Take one end of either the garden hose or the vacuum hose and stick it in the pool. Take 6″ inches of hose and slowly stick it straight down into the pool water until you reach the end of the hose. Once you have pushed the hose into the pool water completely and you have the one end remaining in your hand you will now notice that the pool water will be flowing out of that end of that hose. You will now want to place your hand over that end of the hose and quickly lower that end of the hose on to the ground. You will have to life the hose over the pool wall and then bring it to the ground. Once the pool vacuum hose or the garden hose have touched the ground you should now have a siphon started. If your siphon has created a slow drain or the water is not coming out full force you may want to re-prime your hose, as there may be air in it. Portable swimming pools can be found everywhere. These pools are commonly small and made from plastic. Some of these portable swimming pools do not have any filter systems and they will need to be drained to clean the pool water. There are many different types and sizes of portable swimming pools. There are portable swimming pools that are made for kids that fill up with the garden hose and are for use in the backyard. There is also a bigger version of this type of play pool called the EZ-Set swimming pool, which may from time to time require some draining as well. To drain the plastic Kiddie pools you can usually find a drain plug on the bottom of the pool. If the Kiddie pool does not have a drain plug you do not want to try to life the whole pool because it will be to heavy. 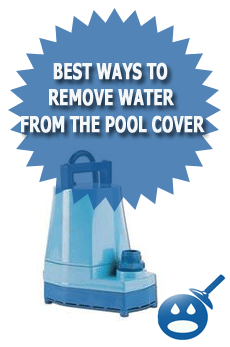 Instead it is best to use a bucket and manually scoop the water from the pool. You also could use a small submersible or cover pump to drain your kiddle pool if you feel that a bucket would take to long or if you do not have the strength. 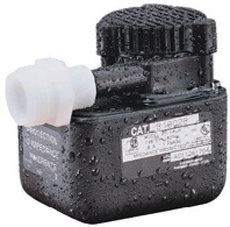 If you want to drain your EZ-set swimming pool you can disconnect the pump and the filter and the water will drain out of the opening on the pool wall. If you do not want the water to flow everywhere you could also use a pump with a long discharge hose so the water will drain in another location. My gunite pool has 2 openings in the bottom drain. 1 goes straight down the other is at 90 degrees. The one in the bottom has a plug in it, should I remove this plug when draining for repaint and replace when I am done before filling? Very nice post. I just stumbled upon your website and wanted to say that I’ve definitely enjoyed browsing your blog page posts. In any case I’ll be subscribing to your rss and I hope you write once more soon! Dennis asked if he should remove the plug, that depends on the ground water table in his area. If the ground water table is high and he removes the plug, liquid water and mud may spray into the pool until the level of muddy water equals the level of the water table, on top of that, the soil that was compacted under his pool will now be disturbed and the pool shell may ” Settle ” and this could cause serious damage. If he has any doubt as to when, if and how he should remove a plug for painting, he may want to consult a professional. I just bought a house with a concrete pool and the old owner told me the main drain was turned off due to the auto vac. I dont see any way of turning the mail drain on, there is only one valve at the pump and that only cut’s of the water supply from the pool to the pump. I would like to be able to use the main drain once in a while so I can sweep what the auto vac doesnt get. Can you help? I have a very odd question to ask. I am building a home in a tropical climate and will need to put construction on hold for one or two years. I have already built the pool but do not have the pumphouse and other elements connected to the pool. What is the best way to maintain the cement pool? I cannot leave water in the pool due to mosquitos and the pool does not drain by itself. Someone suggested filling the pool with sand. Is this a good idea? why not just put a cover on it, no mosquitoes but it will be green. I have an inground pool, which due to storm damage allowed the liner in the shalow end to be exposed to the heat and elements during the recent extreme temperatures in the midwest. Now the liner appears taunt and strenghted, discolored or bleached out as though it shrank by ovr 2″ or more. the cmpany I am daling with says the heat and lack of moisture could not have done this — could you please advise. It’s actually a great and useful piece of information. I am satisfied that you just shared this helpful info with us. Please stay us informed like this. Thanks for sharing. I have an above ground pool that we installed a couple days ago. However we have had some heavy rain and parts of the pool are VERY unlevel now. We are wanting to move the pool to a different area now, but are not sure how to keep the liner from shrinking, as we just bought it. If we put it in a trash can of water, would that work to keep it from messing up? We would do this all in a day or two off work.